Key milestones in data journalism's development. 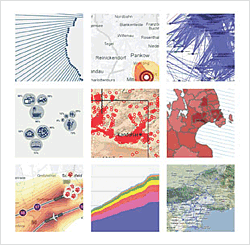 The following is an excerpt from “The Data Journalism Handbook,” a collection of essays and resources covering the growing field of data journalism. In August 2010 some colleagues and I organised what we believe was one of the first international “data journalism” conferences, which took place in Amsterdam. At this time there wasn’t a great deal of discussion around this topic and there were only a couple of organizations that were widely known for their work in this area. The way that media organizations like Guardian and the New York Times handled the large amounts of data released by Wikileaks is one of the major steps that brought the term into prominence. Around that time the term started to enter into more widespread usage, alongside “computer-assisted reporting,” to describe how journalists were using data to improve their coverage and to augment in-depth investigations into a given topic. But what makes this distinctive from other forms of journalism which use databases or computers? 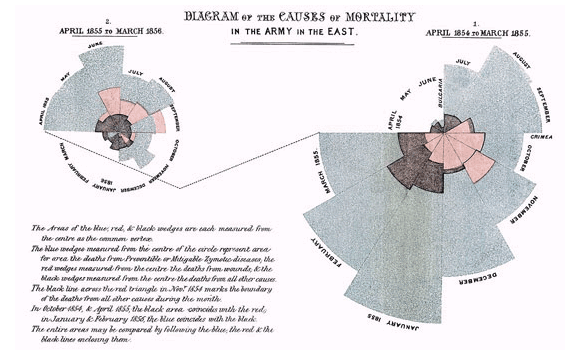 How — and to what extent — is data journalism different from other forms of journalism from the past? Using data to improve reportage and delivering structured (if not machine readable) information to the public has a long history. Perhaps most immediately relevant to what we now call data journalism is “computer-assisted reporting” or “CAR,” which was the first organised, systematic approach to using computers to collect and analyze data to improve the news. CAR was first used in 1952 by CBS to predict the result of the presidential election. Since the 1960s, (mainly investigative, mainly U.S.-based) journalists, have sought to independently monitor power by analyzing databases of public records with scientific methods. Also known as “public service journalism,” advocates of these computer-assisted techniques have sought to reveal trends, debunk popular knowledge and reveal injustices perpetrated by public authorities and private corporations. For example, Philip Meyer tried to debunk received readings of the 1967 riots in Detroit — to show that it was not just less-educated Southerners who were participating. Bill Dedman’s “The Color of Money” stories in the 1980s revealed systemic racial bias in lending policies of major financial institutions. In his “What Went Wrong,” Steve Doig sought to analyze the damage patterns from Hurricane Andrew in the early 1990s, to understand the effect of flawed urban development policies and practices. Data-driven reporting has brought valuable public service, and has won journalists famous prizes. In the early 1970s the term “precision journalism” was coined to describe this type of news-gathering: “the application of social and behavioral science research methods to the practice of journalism.” Precision journalism was envisioned to be practiced in mainstream media institutions by professionals trained in journalism and social sciences. It was born in response to “new journalism,” a form of journalism in which fiction techniques were applied to reporting. Meyer suggests that scientific techniques of data collection and analysis rather than literary techniques are what is needed for journalism to accomplish its search for objectivity and truth. As we might expect, the practise of using data to improve reportage goes back as far as “data” has been around. 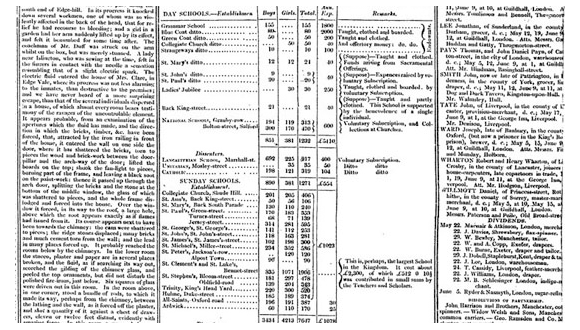 As Simon Rogers points out, the first example of data journalism at the Guardian dates from 1821. It is a leaked table of schools in Manchester listing the number of students who attended it and the costs per school. According to Rogers this helped to show for the first time the real number of students receiving free education, which was much higher than what official numbers showed. Another early example in Europe is Florence Nightingale and her key report, “Mortality of the British Army,” published in 1858. In her report to the parliament she used graphics to advocate improvements in health services for the British army. The most famous is her “coxcomb,” a spiral of sections, each representing deaths per month, which highlighted that the vast majority of deaths were from preventable diseases rather than bullets. Some argue that there is a difference between CAR and data journalism. They say that CAR is a technique for gathering and analyzing data as a way of enhancing (usually investigative) reportage, whereas data journalism pays attention to the way that data sits within the whole journalistic workflow. In this sense data journalism pays as much — and sometimes more — attention to the data itself, rather than using data simply as a means to find or enhance stories. Hence we find the Guardian Datablog or the Texas Tribune publishing datasets alongside stories, or even just datasets by themselves for people to analyze and explore. By enabling anyone to drill down into data sources and find information that is relevant to them, as well as to verify assertions and challenge commonly received assumptions, data journalism effectively represents the mass democratisation of resources, tools, techniques and methodologies that were previously used by specialists — whether investigative reporters, social scientists, statisticians, analysts or other experts. While currently quoting and linking to data sources is particular to data journalism, we are moving towards a world in which data is seamlessly integrated into the fabric of media. Data journalists have an important role in helping to lower the barriers to understanding and interrogating data, and increasing the data literacy of their readers on a mass scale. At the moment the nascent community of people who called themselves data journalists is largely distinct from the more mature CAR community. Hopefully in the future we will see stronger ties between these two communities, in much the same way that we see new NGOs and citizen media organizations like ProPublica and the Bureau of Investigative Journalism work hand in hand with traditional news media on investigations. While the data journalism community might have more innovative ways of delivering data and presenting stories, the deeply analytical and critical approach of the CAR community is something that data journalism could certainly learn from.